During Salt Lake Community College’s disability week last fall, I had the privilege of talking with guitarist and lead vocalist for Park City’s Right Hand Band, Jeremiah Maxey. As an accomplished musician, Maxey’s guitar skills alone could give expert players a run for their money. But Maxey is not what one might call a traditional guitarist. Due to a blood type difference between his parents and his twin sister, Maxey was born with gangrene on his hands and arms. Doctors were forced to amputate his right arm and part of his left arm, shortly after his birth, leaving him disabled. At 10 years old he picked up a guitar, and with some help from his father, Maxey found himself immersed in a new world full of musical ability and potential. Since 2010, Maxey and his Right Hand Band have been touring the state of Utah, performing their unique style of Blues infused with Americana rock. Unfortunately the band has only a few live demo recordings online and has not released a full-length album. It was one of the most awe-inspiring performances I have ever seen. Watching Maxey strum that lap sitting six-string was akin to watching a master craftsman at his finest. The amount of heart and raw talent that goes into making the Right Hand Band had me wondering why they are playing in a small town music scene and not on a national tour in support of the likes of Mumford and Sons. 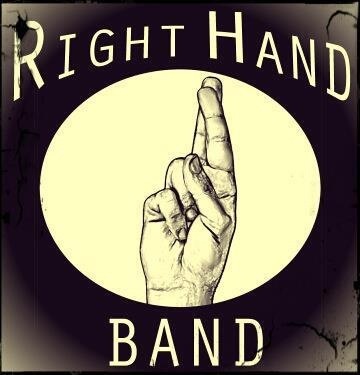 The band’s news and tour schedule can be found at: www.RightHandBand.com. BOTTOM LINE: If you want to hear some great feel-good music and be inspired at the same time, go see the Right Hand Band live.